How does a congregation best serve its own neighborhood? 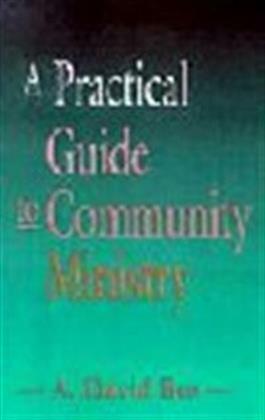 This practical guide for congregations and parishes addresses this question by reviewing the growth of the ecumenically oriented community ministry movement in recent years. David Bos believes the typical "community ministry" rising from that movement possesses three important and energizing characteristics: it is congregation-based and very local; it is a social ministry that sees issues through the prism of its own community; and it is ecumenical. He focuses on community ministry as a particular way of ministering to society, in which congregations of more than one denomination and of a particular locality (neighborhood, small town, rural county) share goals and resources. Bos sees community ministry as a local social ministry in which congregations respond in faith, hope, and love to the neighborhood, town, or rural county that they have as an immediate context for ministry.